The best thing about SWAT is that you don't have a normal route to go on. One week, you're helping a hostage situation. The next, you're outside of a drug ring. The excitement never ends for a man of the law. Especially one that’s on a SWAT team. The SWAT team is always at the ready for any emergency that comes up. Whether you are taking on bank robbers and a hostage negotiation or helping out local law enforcement, a SWAT team member is trained to think on their feet and are physically fit. Heck, it may even be worth it to go through the tough training just to get the awesome technical vest that’s a requisite part of the uniform! Skip the grueling training and jump right into the awesome uniform of a SWAT team member this Halloween with our SWAT team costume. 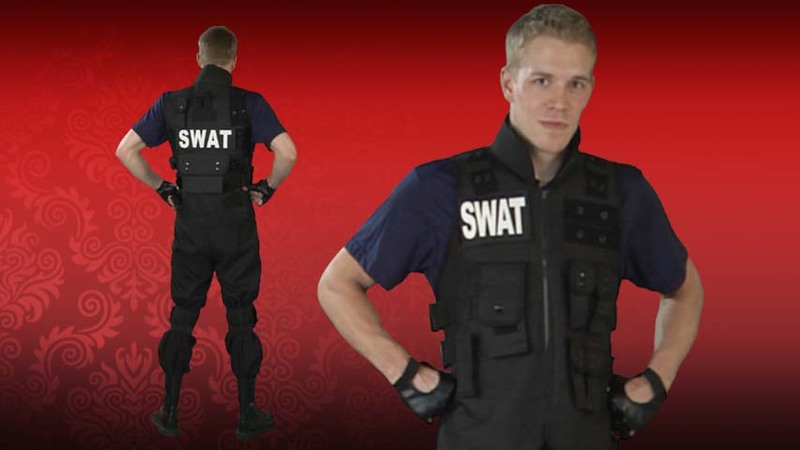 You’ll excite a few party-goers in this Mens SWAT Team Costume that comes with everything you need to take on the bad guys. The polyester shirt has short sleeves and fits nicely under the tactical vest. The vest zips up the front for easy on and off and has a stand-up padded collar. 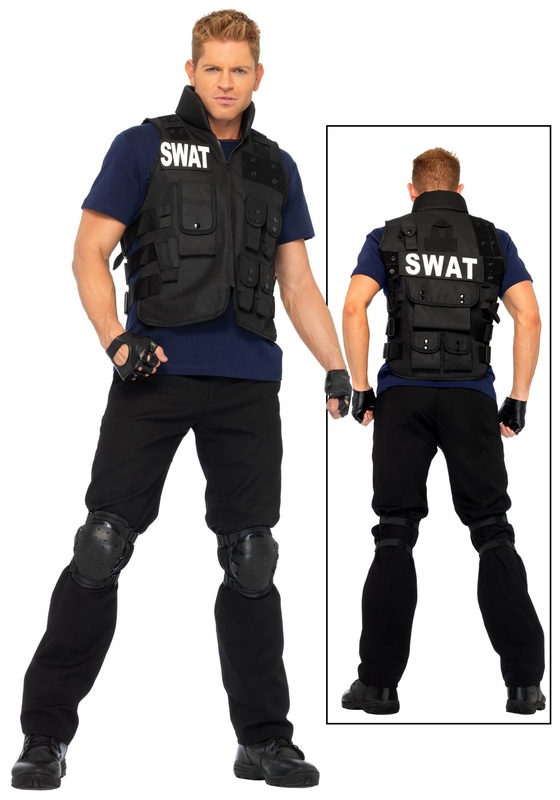 The vest has straps on the sides that hook in the back along with SWAT patches on front and back. Store all of your mission essentials in the six front pockets of the vest. Top it off with the included glovelets and black knee pads with adjustable straps.